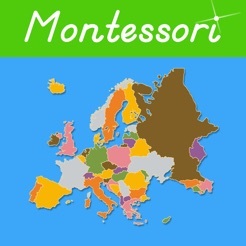 Learn the names and locations of all the countries in Europe with this app that beautifully complements the geography materials used in the Montessori Classroom! Touch a country in the filmstrip to change the featured country on the page. Touch the speaker button to hear the correct pronunciation of the country name and touch the compass button to see the country highlighted on the map! The map itself follows the same color scheme used for the physical materials in the Montessori classroom. 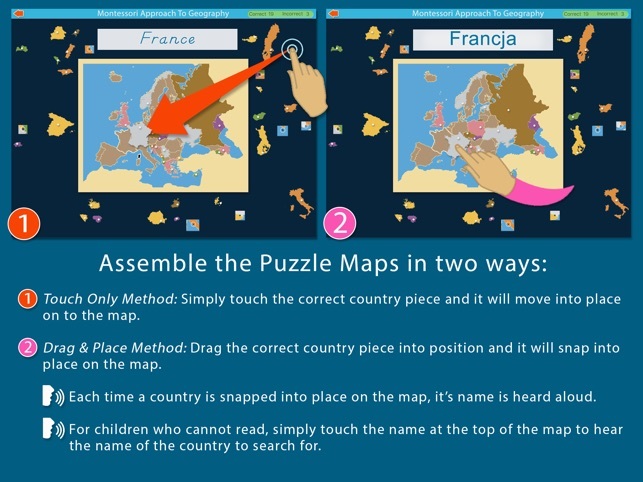 In the first puzzle map lesson children have to look for the country puzzle piece that is blinking on the map. As each country piece is placed its name can be heard aloud. In the second puzzle map lesson children have to look for the country puzzle piece that corresponds to the name shown at the top. For children who cannot read, the country name at the top can be touched to hear the name aloud for them to know which one to look for. The third puzzle map is an open activity for children to assemble the map in any order they choose. We sincerely thank you for your downloads and suggestions! 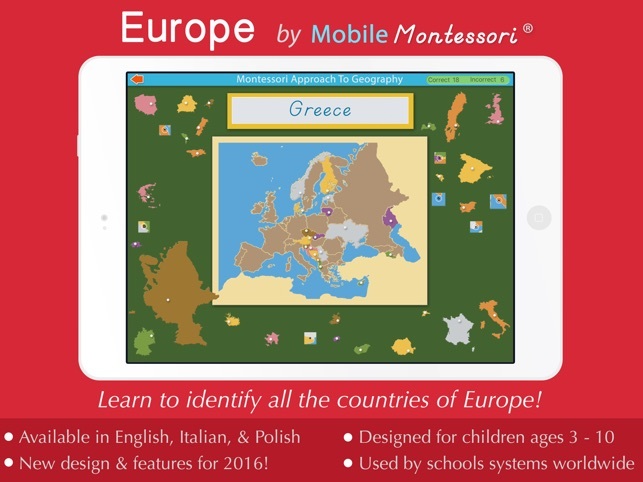 Once you master the European countries, learn the Flags of Europe with our follow-up app! 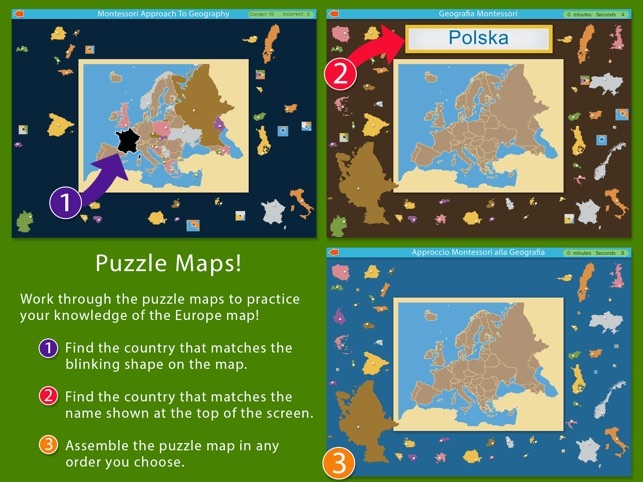 "I am a lower elementary teacher, and my students have been using your South America, Europe, and Asia puzzle map apps. They LOVE, LOVE, LOVE them." "Because of your apps my 3yr old knows all the countries from North, South Americas, Europe and all the states in America." "I am in my forties and I have learned most of Europe in a couple days. This method really works." New design & features for 2016! 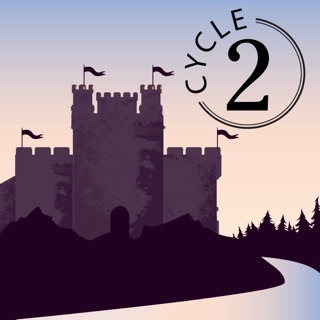 This app is fun and engaging. 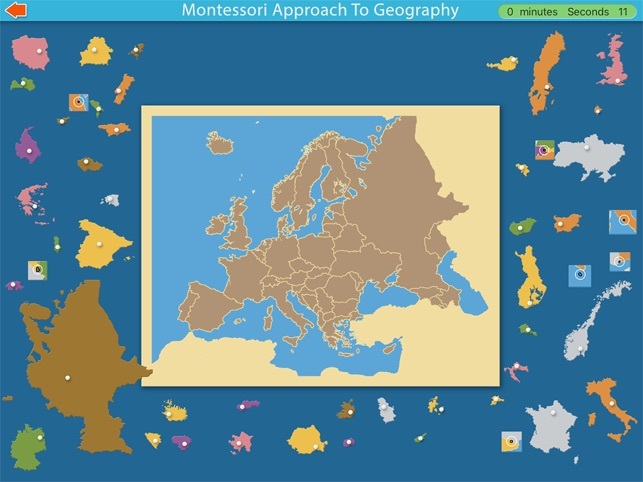 This app is done as a puzzle map of Europe. 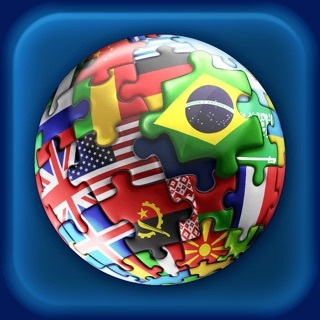 This app puzzle can be built using the country names or country shapes. 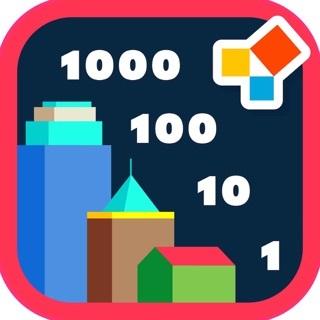 Simply tap the country that the app is asking for by name or by shape and the piece moves automatically to its proper place. There is an informative part that tells the name and location of each country. 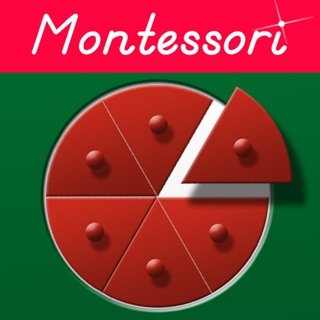 This app is great for both Montessorians and non-Montessorians. This app should have the features added to it that the USA puzzle has; simple puzzle map building and the dragging pieces options. Thanks for your feedback! I'm sure you'll like the latest updates! © Mobile Montessori by Rantek, Inc.